UK - Sennheiser UK is unveiling a newly-designed office in Marlow completed after enlisting the help of five creative students at Buckinghamshire New University to come up with ideas. 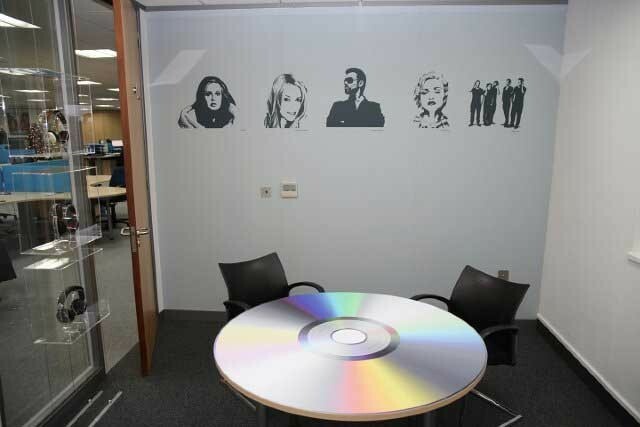 Following sustained year-on-year business growth, Century Point’s 6,000sqft of office had more than reached capacity therefore Sennheiser UK moved to its new 15,000sqft home in Marlow, Buckinghamshire earlier this year. 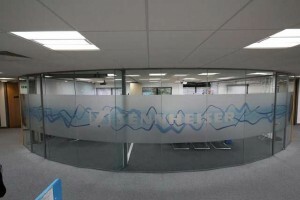 BA (Hons) Spatial Design and Graphic Arts students at the University in Queen Alexandra Road, High Wycombe, came up with distinctive designs for the new Sennheiser UK office in Globe Park, Marlow, making the most of its curved walls and glass partitioning. “This project showed the importance of working with industry and also of working with other departments at the University. It was valuable to see the approach and packages used by the Graphic Arts students. It has altogether been a very worthwhile and positive experience,” Natalie explained. The chosen designs were by Bucks New University students Jenny Brodie, Joe Burgess, Alice Goad, Katy Needham and Natalie Parkins. High Wycombe based design & print agency Exposure helped turn the students’ designs into a reality, completing the install in November 2013. Sennheiser UK is an official education partner of Bucks New University, creating industry-linked opportunities for students and focusing their employability. The partnership provides a range of educational benefits for students including the University’s main recording studio, ‘The Sennheiser Sound Lab’, where the company has provided equipment for use in the studio.